What’s in your summer wardrobe arsenal? Functional looks for everything that comes your way. 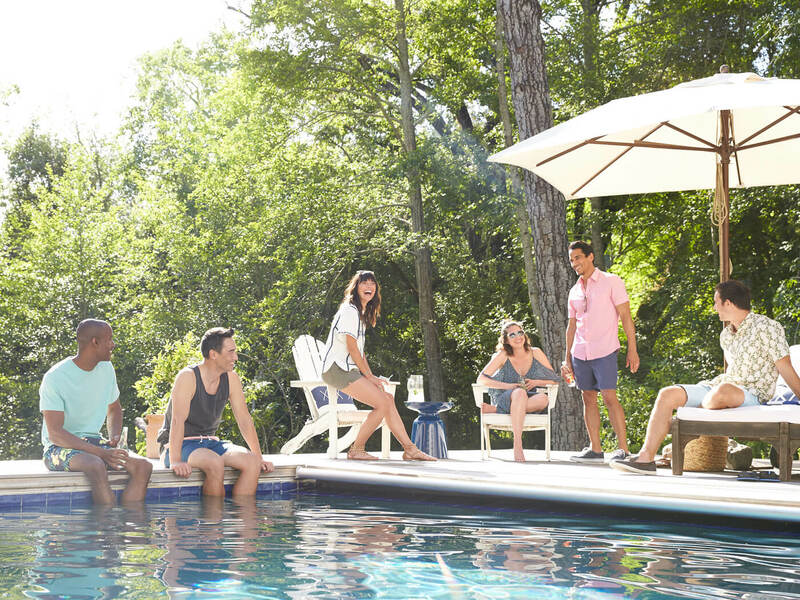 The scenario: you’re invited to three events during one epic weekend—a pool party, a BBQ, and a lazy afternoon of sun soaking in the park. Here are our expert approved outfits that get it right every time. 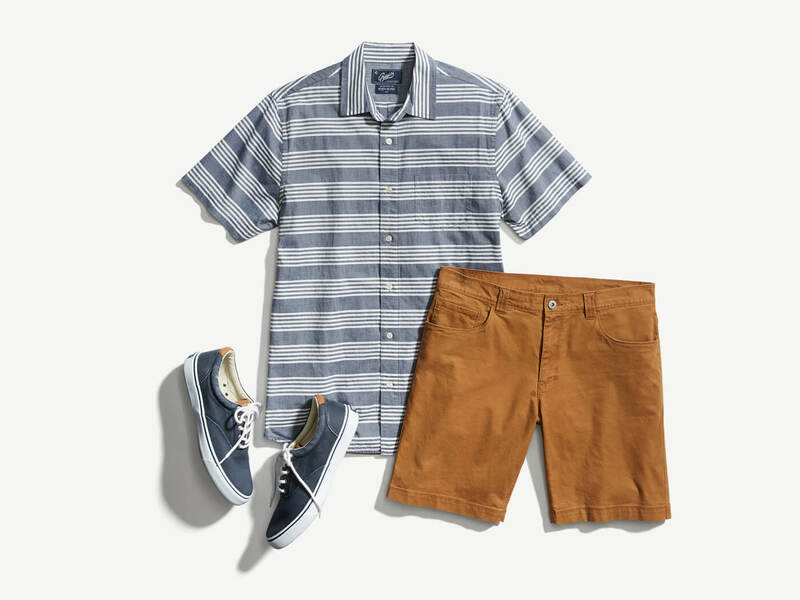 See our four essential looks to get you started for a stylish summer. The best way to break out this summer: bright swimwear. Think bold tropical prints in trim cuts that channel the carefree vibes of the season. Consider it your “No Worries Look.” With standout trunks, you’ll want your remaining outfit to easily mix & match. 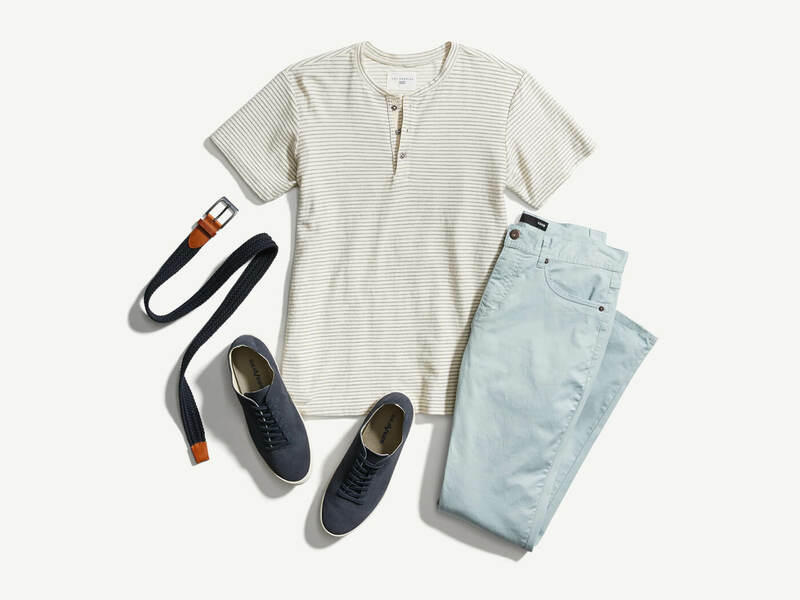 We suggest a light-colored neutral tee for cool breathability. Round it out with a leather sandal, like a flip-flop, for relaxed feels. Stylist Tip: For footwear versatility, opt for a wide leather sandal over a rubber slipper. Hot months scream for BBQs. So what’s a dude to wear when chowing down? A super casual “All Day Anything” look that focuses on patterns. We think every guy should have a couple eye-catching, short-sleeve button-downs in his closet. They’re great for transitioning, in case you’re heading somewhere else after—and if you drop some sauce on your shirt? No problem, it’ll blend right in. Stylist Tip: Simple patterns—with clean lines and non-busy repetitions—can be paired with anything. 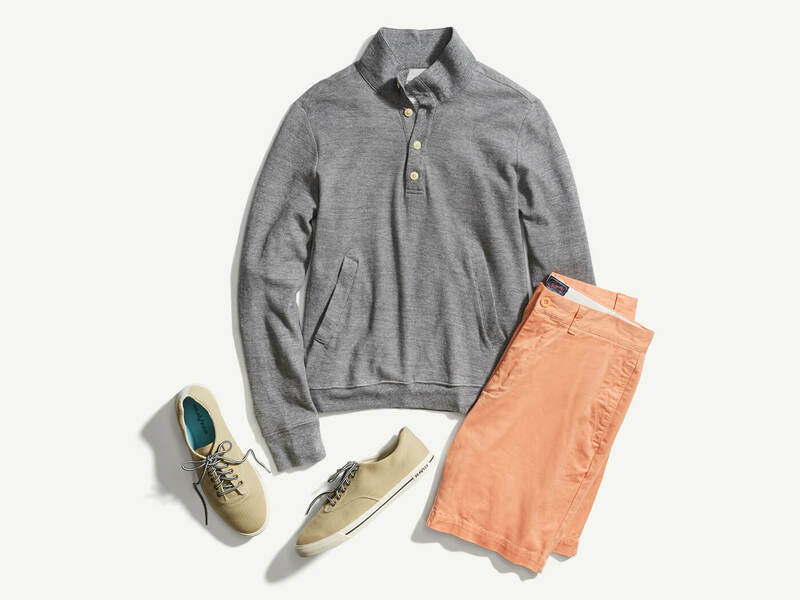 Park days demand weather-appropriate outfits that are laid-back and stylishly on-point. Stay sharp in short-sleeve henleys with warm summer hues. Henleys just have that universal cool factor. Throw on a collarless pullover shirt (especially our favorite, subtle stripes), leave a few buttons open and bam—instant cred. Wear yours with a light-colored chino and dark sneakers. Stylist Tip: Not a chino guy? Go with a summer-weighted jean to beat the heat. Evening plans just pop up? Go from day-to-night with the help of lightweight layers. Yes, they’re a real thing. A light pullover sweater handles that summer nighttime breeze and gives your look extra distinction. We suggest options in an all-purpose gray that go the distance. Stylist Tip: Tailored shorts are your warm weather alternative to trousers. Wear them with classic sneakers or a Brogue dress shoe. 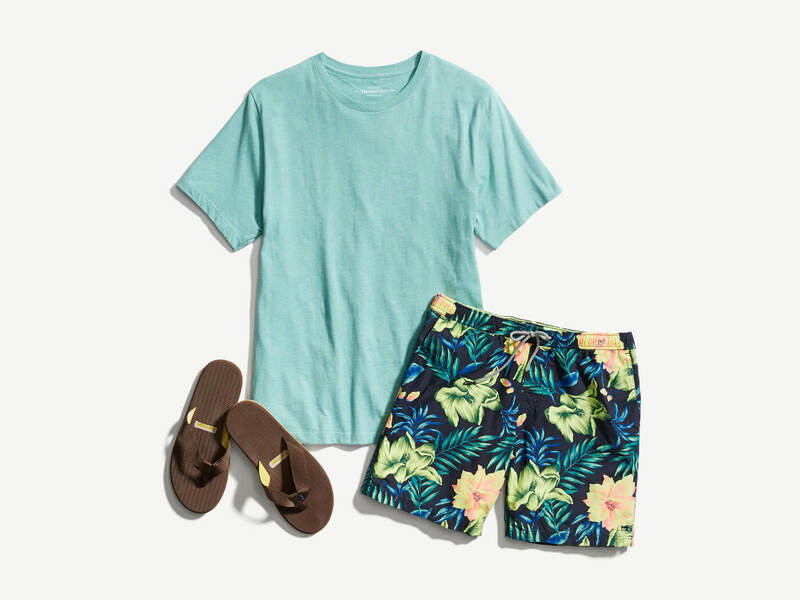 We have summer style for every guy. Get in touch with your Stylist.